A Great adventure with Loved ones of all ages. Gananoque Boat Line provides the most comprehensive tour of the 1000 Islands on the St. Lawrence River. Explore island culture as the boat glides past opulent cottages, natural landmarks, elaborate castles. Don’t miss out on discovering the Canadian Signature Experience Lost Ships of the 1,000 Islands cruise, which adds to the intrigue of the region by diving deep into the past and exploring several ship wrecks dotting the underwater landscape. Gananoque Boat Line started humbly by ferrying people across the pristine waters of the St. Lawrence as a mail run. More than 60 years later, it has now evolved to include five vessels and averages about 300,000 visitors annually. In fact, in the summer or 2015 the business has hit its 11,000,000th customer aboard! 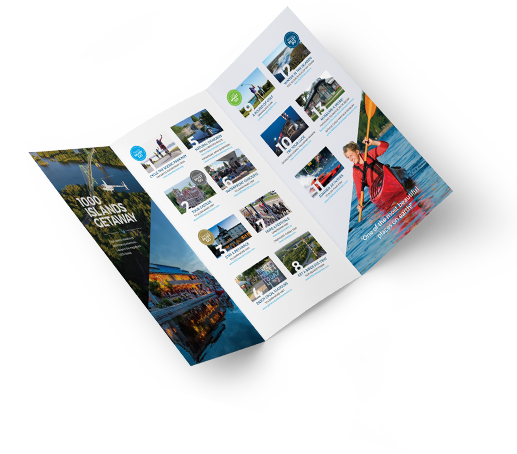 Whether it’s a one-hour, two-hour, five-hour cruise, or a one-of-a-kind dinner and music experience, the Gananoque Boat Line is a premium way to create traditions with friends and family, among the legendary 1,000 Islands. Highlighting the natural habitat and local living of our region. 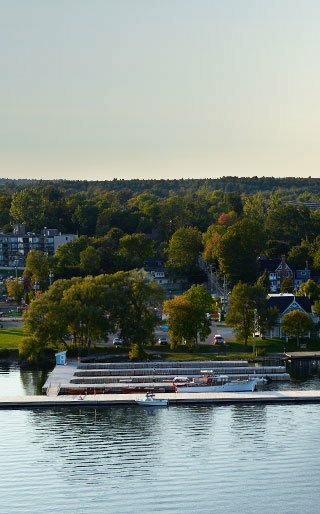 Join Gananoque Boat Line on a 1-hour cruise taking you closer to the islands than any other cruise available in the 1000 Islands. See fifth and sixth generation family cottages. Cruise the narrow channels of the Admiralty and Navy group of islands. View lighthouses and breathtaking views. Watch for the ferry-crossing, look for a great blue heron, osprey, geese or the Least Bittern, a wading bird whose wetland habitats are decreasing elsewhere within its northern range. 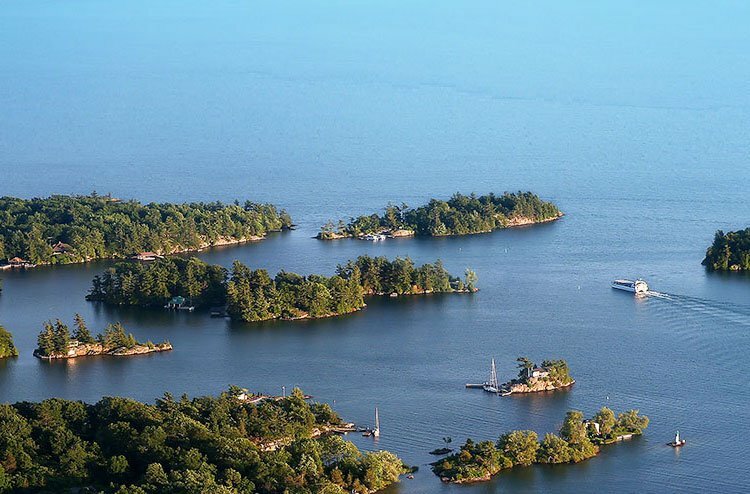 Experience the uniqueness of the 1000 Islands such as Boldt Castle, the Statue of St. Lawrence, 1000 Islands International Bridge and Zavicon Islands containing the smallest International Bridge in the world during this cruise in the heart of the 1000 Islands. Cruise past the Statue of St. Lawrence, while he watches peacefully over the vessels and mighty St. Lawrence River. This statue is only visible from the water, standing high above on a rock cut. Ivy Lea is conveniently located off the 1000 Islands Parkway in the village of Ivy Lea at 95 Ivy Lea Road; only minutes from the 1000 Islands International Bridge and Highway 401. 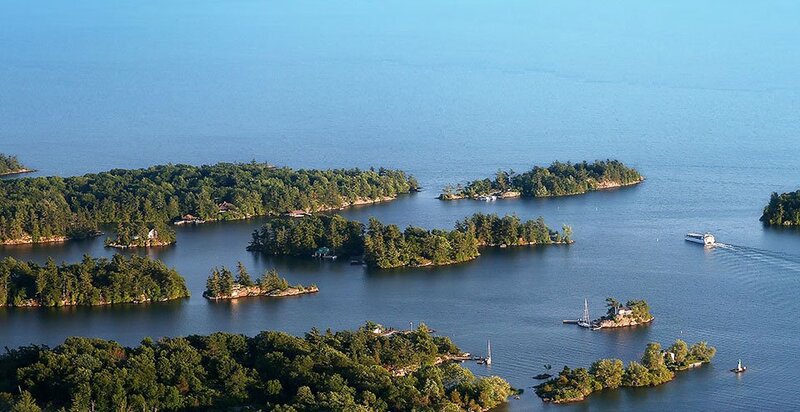 The Lost Ships of the 1000 Islands Cruise is a Canadian Signature Experience. This tour combines video and audio commentary along with side-scan sonar images, bringing events and stories back to life. You will see the famed Boldt Castle and lavish homes of the rich & famous on “Millionaire’s Row”. Discover the remarkable feats of engineering required to build the St. Lawrence Seaway, 1000 Islands International bridge and so much more! *Admission to Boldt Castle is extra.